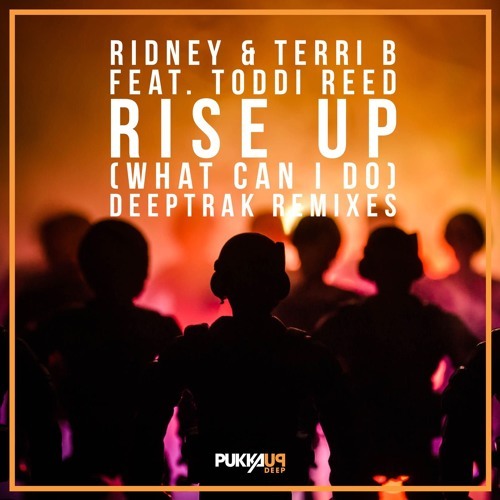 OUT NOW on PUKKA UP DEEP Support already from Purple Disco Machine, Mambo Brothers, DJ S.K.T, Todd Edwards, Joe T Vannelli, David Penn, Tommie Sunshine, Seamus Haji, Judge Jules, Mr. V, Hector Romero, ROOG, DMC World Magazine, Tough Love, Tom Novy, Josh Butler, Stonebridge, LMC Music, Soul Avengerz, Franco De Mulero, Black Saint, Roger Sanchez, Claptone, CJ Mackintosh and many many more!!! @soclick: Glad you've found it though :) Any chance you could be so kind in letting us know the Low Steppa Mix?? What a tune! Heard this on a Low Steppa mix. Had to do some googling to find this.